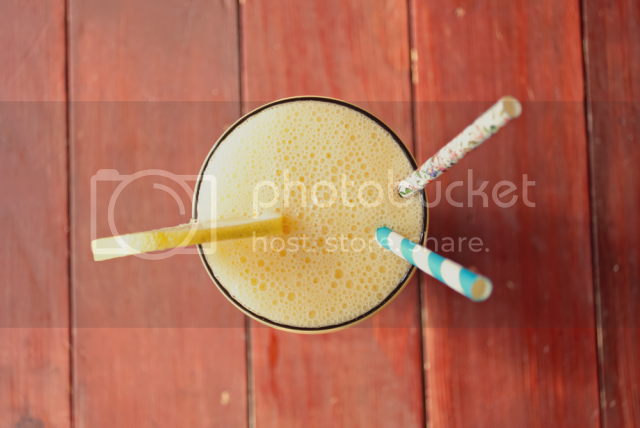 Ah, the Orange Julius, smoothie of my youth. I have worked on recreating it for years. But finally, finally I’ve got it, so I’m going to share it with all you Orange Julius lovin’ folk out there. 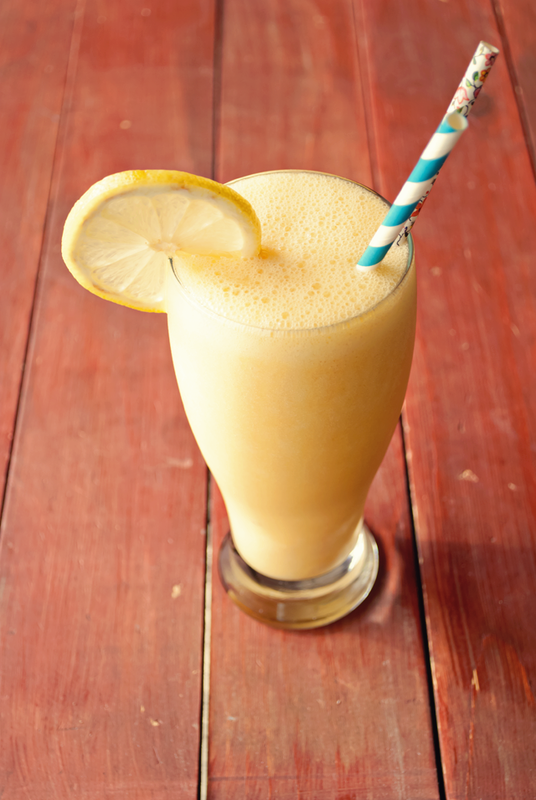 Throw all the ingredients together in a blender and blend until smooth and creamy. This recipe serves four tall glasses, or for my family, it makes two tall glasses and three kid-sized glasses of deliciousness. Baking soda is the secret ingredient I’ve been missing for so long. 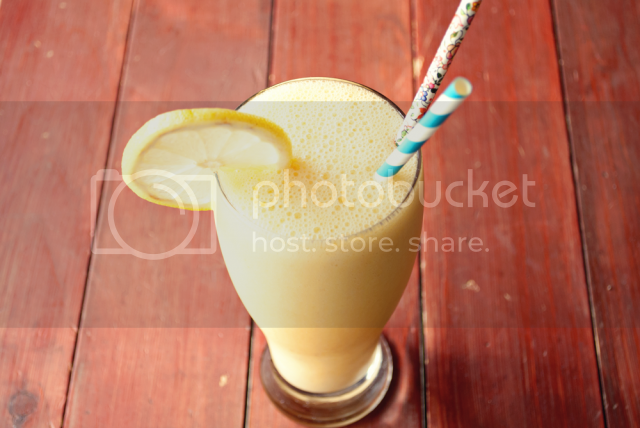 It neutralizes the acidity of the orange and lends it the creamier flavor that is paramount to an Orange Julius. Give it a try, I promise it’ll make you happy! Oh thank you so much for posting this! I can't wait to make it. Thank you thank you thank you! ooh I can't wait to try this!! I too always get reminded of my teenage years visiting the mall whenever I hear the word Orange Julius!!! Ha ha ha YES! Exactly the same for me! Baking soda?! I never would have guessed! So cool - I love cold things and have to try this! Visiting from the From Dream to Reality hop! I know, right?!? Probably why it took me so long to figure it out! It was a well-held secret! I tried really hard to like this. I couldn't get past the baking soda. I mean it was almost perfect, but it had that baking soda after taste. I am going to try again without the baking soda. Thanks for the receipe. That's unfortunate! Maybe you just ended up with a small clump in your cup, because you shouldn't taste it at all. 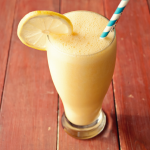 It's exactly what's in the real Orange Julius to make it smooth and creamy! 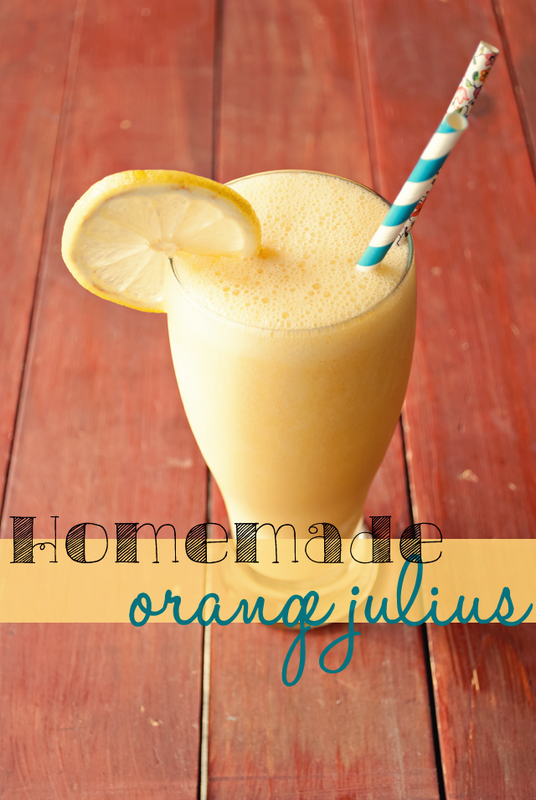 Thank you for developing and sharing a homemade Julius recipe! Last time I bought an Orange Julius at a mall, it was very disappoint -- not at all the goodness of childhood memory. I would never have guessed the baking-soda secret.